Chester. Chester Bennington of Linkin Park attends the fourth annual MusiCares Benefit 음악회, 콘서트 at The 음악 Box at Fonda on May 9, 2008 in Hollywood, California.. Wallpaper and background images in the Chester Bennington club tagged: chester bennington linkin park. 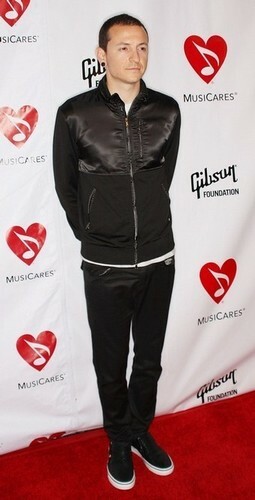 Chester Bennington of Linkin Park attends the fourth annual MusiCares Benefit 음악회, 콘서트 at The 음악 Box at Fonda on May 9, 2008 in Hollywood, California. This Chester Bennington photo might contain 녹색 베레모, 특수 부대, 엘리트 군인, 녹색 베 레모, 특수 부 대, 작업복, 피로, 피로감, and 군복.